Skarob talks to Dub Terminator about his latest release, Dubmental, and upcoming session with Jafa Mafia in Auckland City. 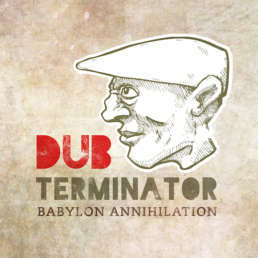 SR: Dub Terminator, it’s great to hear you have a new album releasing. Thank you for talking to NiceUp! Good to meet you at your studio in Auckland and get a sneak preview of the album. Before we talk about what’s ahead, can we go back to the music you grew up with. What memories do you have? DT: I recall sitting next to the radio when I was about 4 or 5, listening to sounds of 80s synth pop, thinking how do they make those sounds. And so I always wanted to play music and my father was a musician. He played blues so that was always playing in the house too. SR: Your Dad played Guitar? DT: Yeah, he was a guitarist. He played from when he was a kid and his father, my grandfather, was a musician also. So was my grandma. I taught myself guitar and at around 12 or 14 I’d sometimes be a stand-in guitar or bass player in Dad’s rock and roll blues band. So I got into music that way, got into writing songs and using a 4-track recorder. SR: So from there, how did things develop? DT: Well, I spent more time making music than listening to music, except hearing DJs when I went out. When I used to work on my tracks, it’s like I didn’t want to get influenced too much by others. You can just feel free to make stuff without being drawn in any single direction. SR: When you set out to make this album did you have a direction or did it just evolve? DT: I worked with a collection of tunes that were instrumental and meditative and fitting from my archives. From the dub side of me and my meditation. The oldest track is about 7 or 8 years and the newest just a few months old. I’ve selected a track from each era or stage I’ve been at over that time. SR: Would you agree that this album sounds and feels different to a lot of your others? DT: Definitely, the music I’ve released so far is just some of the many kinds I’ve produced. This feels in a way like opening up another door. A door to tunes building up in this vibe that I’ve wanted to release for a while. SR: Were many tracks from full vocal arrangements? 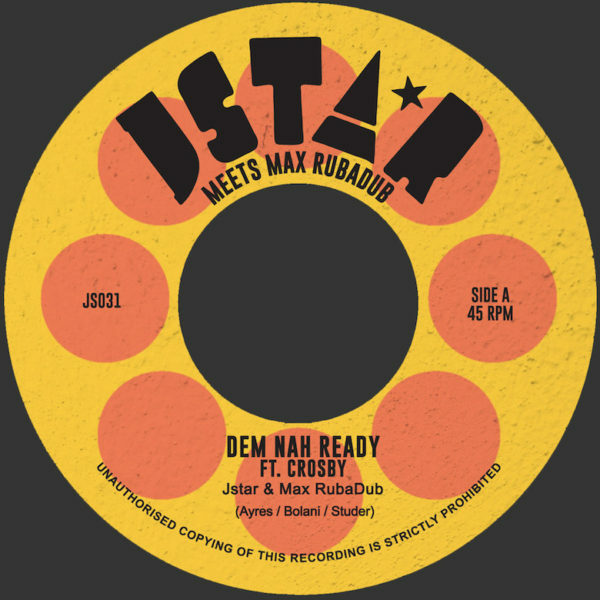 DT: Only two were released with vocals, which are ‘Sweet Maria Dub’ featuring Jah Red Lion, and ‘War’ with Ras Stone. 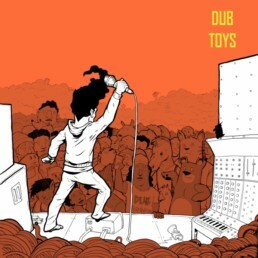 Nice tunes with the right vibe and special dubs for this album. Plus always great to get the boys in there. SR: You’ve had big success internationally, but there doesn’t seem to be many opportunities to catch you live here in New Zealand. Why do you think that is? DT: Well, I guess I don’t really try to promote myself or get gigs. The bit I enjoy most is creating music. It’s quite disrupting playing gigs if you’ve got to keep in a creative spot. So I like to just do a little here and there. That plus the sub-genres and the population of the country. It’s not like you can play to a thousand people in Auckland on a Monday night but in some places you can. So its cooler to fly out there and have a bit of a holiday as well. 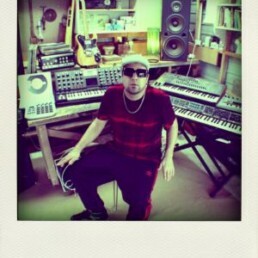 SR: We’re really excited for the album and stoked to have you play live this month on Jafa Mafia Sound System. Tell us what we can expect on the night. DT: Usually when I play live, I’ll play special mixes of music I’ve made and I’ll dub them live with delays. 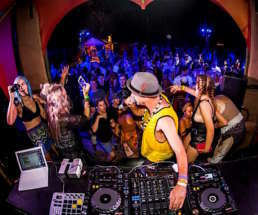 I’ll play a lot of new stuff to try it on a sound-system, I’ll play unreleased tracks, you name it! SR: The album is a must have for sure, tell us where to buy it. DT: Check the preview on SoundCloud. It will be available via most digi music outlets on 13 August. SR: Thank you for sharing your time and cant wait for the big gig this Saturday 21 July – World A Reggae Outernational: Jafa Mafia meets Dub Terminator.